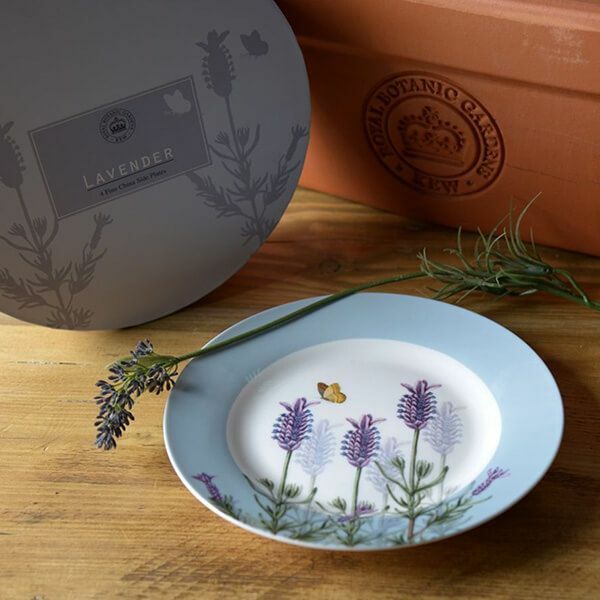 This set of 4 Royal Botanical Gardens Kew Lavender Side Plates feature the dusky colours of lavender with enchanting lilacs and butterflies inspired by the Kew Gardens art and archives. 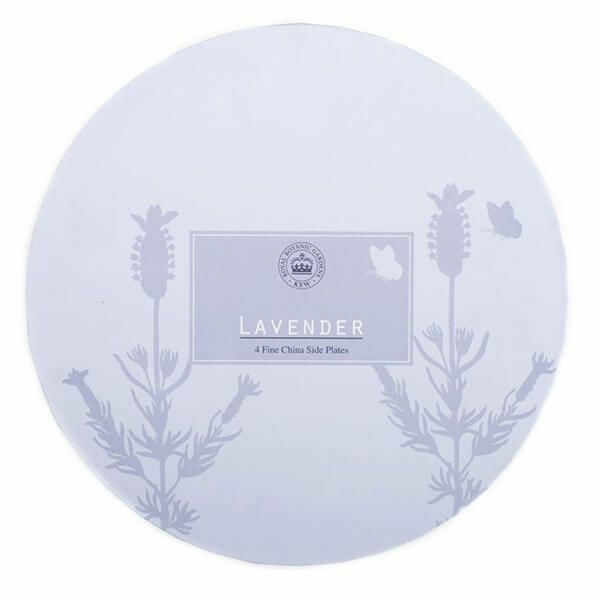 Perfect for an afternoon tea and serving delicious sandwiches, cake and biscuits. 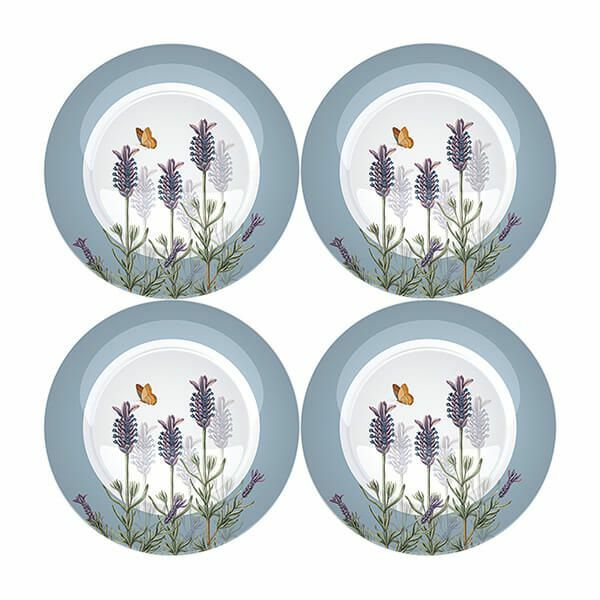 Beautiful china, will use indoors and out in tha garden.